ASTANA -- Kazakhstan is beginning to re-evaluate its ties with Russia and its habit of sharing the Kremlin's stance on international issues, say analysts. Kazakhstan, a non-permanent member of the United Nations (UN) Security Council, April 14 refused to support a draft resolution proposed by Russia that condemned coalition air strikes in Syria. The air strikes were a response to Syrian President Bashar al-Assad's alleged use of chemical weapons only days earlier. The Russian-backed Syrian regime is accused of using chemical weapons on April 6 in the rebel holdout of Douma, near Damascus, killing at least 40 people and injuring more than 500. Russia's resolution failed to pass or even garner broad support, with 8 voting against and 3 in favor. Kazakhstan abstained, along with three others. A resolution needs a majority of votes from the 15-member council to pass and no veto from the five permanent members -- Britain, China, France, Russia and the United States. If passed, the resolution "would have demanded the United States and its allies immediately cease such actions and refrain from any further use of force in violation of international law", said the UN press office in a statement. Kazakhstan's abstention is a landmark event, especially considering that the nation has long been one of Russia's closest geopolitical allies, according to analysts. The two nations have closely co-operated on military issues in the past. Since 1992, Kazakhstan has been a member of the Russia-led Collective Security Treaty Organisation (CSTO), a security alliance comprising former Soviet republics. Kazakhstan is also a member of the Eurasian Economic Union, a trading bloc of former Soviet states. Astana's move signals that it does not want to be put into the same basket as Russia, whose ever-changing foreign policy and meddling have led to international isolation, according to Kazakhstani political analysts. Nevertheless, shaking off the Kremlin's influence will be no easy task and will likely take many years, some say. 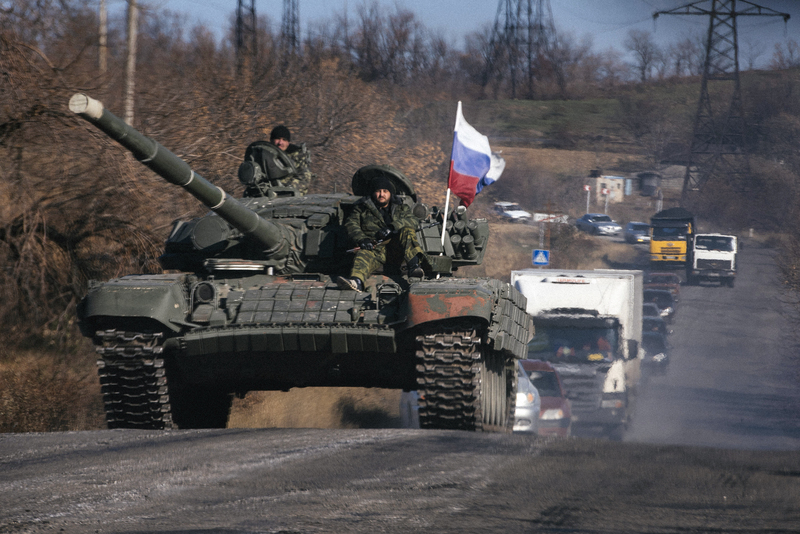 A sudden break in relations could lead to a situation similar to that of Russia's 2014 invasion of Ukraine, Aydos Sarym, an Almaty-based political analyst, told Radio Free Europe/Radio Liberty (RFE/RL)'s Ukrainian service in January. "Relying solely on [bilateral agreements], documents like the Budapest Memorandum on Security Assurances [of 1994, which committed Russia to non-aggression against Ukraine, Belarus and Kazakhstan in exchange for the return of Soviet nuclear weapons to Russia], etc. would be the apex of naivete," Sarym said. "Agreements with Russia aren't worth the paper they are written on," he added. "There are two ways to get a divorce from the former empire," said Sarym. "There is the peaceful path, like the one Kazakhstan is taking, which is very long, and there is the bad path involving war, as the case was with Georgia and Ukraine." Kazakhstani authorities have already begun considering the possibility of a Russian move on Kazakhstan's northern provinces. Russia's forcible annexation of the Crimean Peninsula in 2014 from Ukraine was an alarming signal for Kazakhstan, political analysts say. Astana needs a counterbalance against Russia, a purpose that the Russian-dominated CSTO does not suit, Sultanbek Sultangaliyev, a political analyst from Uralsk, told Caravanserai. To that end, Kazakhstan last July inked a military agreement with the United States, setting up co-operation for 2018-2024. Kazakhstan has also begun actively supporting the United States on security issues, such as allowing the US military to use Caspian Sea ports in Aktau and Kuryk for cargo shipments to Afghanistan. "This is a manifestation of the pragmatic path of Kazakhstan's foreign policy -- one based on the principle of a multi-vector approach," Sultangaliyev said. Last fall, Kazakhstan adopted a military doctrine suitable for a nation familiar with the Kremlin's toolbox. An analysis of the new doctrine indicates that it is a reaction to Russia's aggression against Ukraine, according to Ruslan Zhangazy, a political analyst from Almaty. "For the first time, the new document names concepts such as 'hybrid warfare' and 'cyber attacks' among the military threats to Kazakhstan," Zhangazy told Caravanserai. Astana fears that Ukraine's experience could repeat itself in the northern provinces of Kazakhstan that border Russia, he said. Three key prerequisites make Kazakhstan vulnerable to potential Russian predation, according to Zhangazy. Moscow has previously cited the protection of ethnic Russian minorities abroad as a pretext for invasion. "First of all, there is an ethnic demographic imbalance that is not in favour of the ethnic Kazakh population in the northern and eastern parts of the country [where Russians dominate just like in Crimea]," Zhangazy told Caravanserai. "The second significant factor -- something that is actively being used in the hybrid war being waged against Ukraine -- is the latent dissatisfaction with the current social and economic situation [in Kazakhstan] of some ethnic minorities [Russians]," he said. "The third prerequisite is that these provinces are under the influence of the Kremlin's information policy, mostly from Russian mass media," said Zhangazy. Such risks are the real reason why authorities have launched a resettlement effort moving southerners -- mostly ethnic Kazakhs -- to northern areas, according to Zhangazy. The Kazakhstani government is providing social assistance to those who relocate to the north, officially citing a surplus of manpower in the south and economic needs in the north, he said. In addition, observers generally consider the 1998 relocation of the Kazakhstani capital from Almaty in the south to Astana in the north an expression of the country's determination to protect all its territory. Folks, politics is a dirty business and, unfortunately, we can't make a difference with our kitchen talk. Of course, everything is reviewed and public opinion is monitored and reported "to whom it may concern", but whatever the point is we are trying to prove here, it's just rhetoric. Let me express my opinion, obviously a personal philistine opinion of a Kazakh. I don't like my government and the person clinging to power and not willing to step down. By the way, I shouldn't have written this, because now I could expect certain consequences. One may criticize whoever he please, but not our great and magnificent Nursultan Abishevich [Nazarbaev], so I officially state for the record that I didn't imply him by portraying the above-mentioned person. We sincerely love and respect him dreaming of him govern us wisely and justly for many years to come. I would kindly ask to place this statement on record. So, Slavic brethren, I have good friends of different ethnic backgrounds: Russians, Ukrainians, Azerbaijanis, Armenians, Georgians, Kyrgyz, Turks and even the Yanks (as you gladly call them). And you know what, I don't care that some of them can't stand each other and sit at the common table. When I invited them, I invited every one of them. Then they decided who they wanted to sit next to. People here like to prattle about a "wonderful" life in the Soviet Union. Yes, some aspects were awesome. BUT [there was] a big "But"
Who really asked the people? What aggression? Are you nuts? What counterbalance? What are you talking about? We are against any attacks and accusations! Now the Yanks will be goading you on! We are for peace in Syria! [There's a] Big But. But why don't your "little brothers" as you like to call us, want to go back to the [Soviet] Union? Because it's not cool when you are constantly told how should you live your life and who to be friends with. It's only good when it's up to us to decide, not obeying someone's orders. "Whether I am a trembling creature or whether I have the right", I guess, that's what Dostoevsky wrote. And if for whatever reason you like to confront the rest of the world, why do you think we should do the same and may not have our own opinion? Maybe it's time to open your eyes and see that there are quite normal people, not wogs or Ukes live outside and inside Russia. They simply have their opinions. And if we are brothers, how should I treat you as you are confronting our Ukrainian brother or Georgian brother or any other people I consider my brothers. Think about it, is it possible that's the problem with you, folks? Enough terrorizing mostly illiterate folks by telling them about Russian aggression. Look at a map of Russia - they have their hands full just dealing with their own territory. However, with all that land Russia is an active actor in the conflicts in Syria, Ukraine and, of course, the [Russian] attitude is understandable, listening to the comments made by lawmakers in the State Duma [the parliament] and journalists. Judging by the text, the article is quite reasonable. 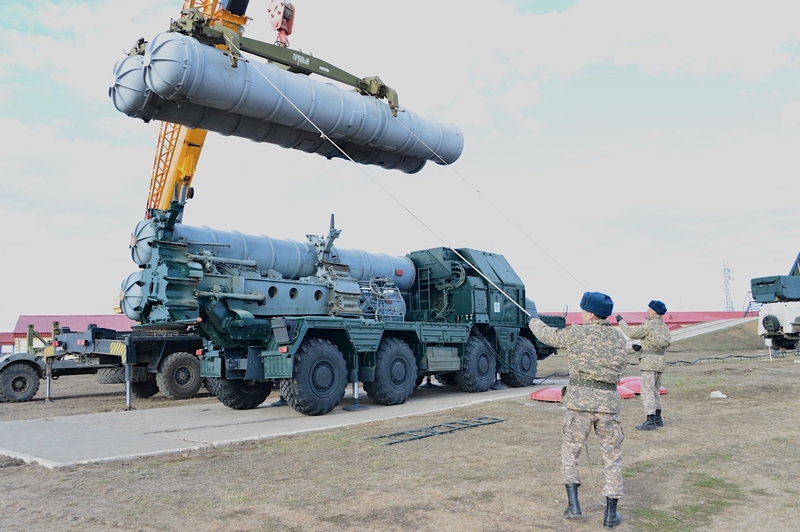 A missile defence system that Russia is planning to deploy in Central Asia threatens regional security and empowers the Kremlin, critics say. Any Kazakh citizen found to be involved in anti-Ukrainian separatist movements, or any other Russian-backed adventurism, will receive severe punishment in Kazakhstan, warn officials in Astana.